Gettysburg Licensed Battlefield Guide Stuart Dempsey is the host for our Eleventh Corps series. 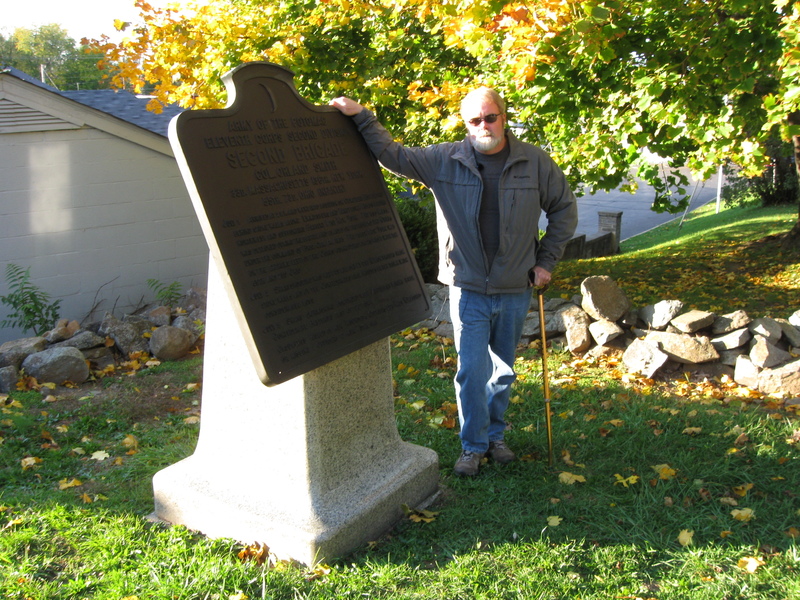 He is standing on the west slope of Cemetery Hill near the Taneytown Road and the marker for Orland Smith’s Brigade of the Eleventh Corps. This view was taken facing northwest at approximately 4:45 PM on Friday, October 29, 2010. Previous entries in the Eleventh Corps series can be found here. In today’s Eleventh Corps post, Gettysburg Licensed Battlefield Guide Stuart Dempsey introduces us to Orland Smith’s Brigade of Adolph von Steinwehr’s Division. To email Licensed Battlefield Guide Stewart Dempsey, please click here to reveal his address. This map shows the location of where our Eleventh Corps at Gettysburg videos were produced. Videos #1-#80 were shown on other maps on our previous posts. Video #81 were taken on Cemetery Hill near the Taneytown Road at the marker for Orland Smith’s Brigade. Video #82 was taken at the intersection of the Taneytown Road and Steinwehr Avenue at the monument to the 55th Ohio Infantry Regiment. Video #83 was taken in the National Cemetery Annex near the monument to the 73rd Ohio Infantry Regiment. This map was created facing north at approximately 8:00 PM on Friday, December 10, 2010. 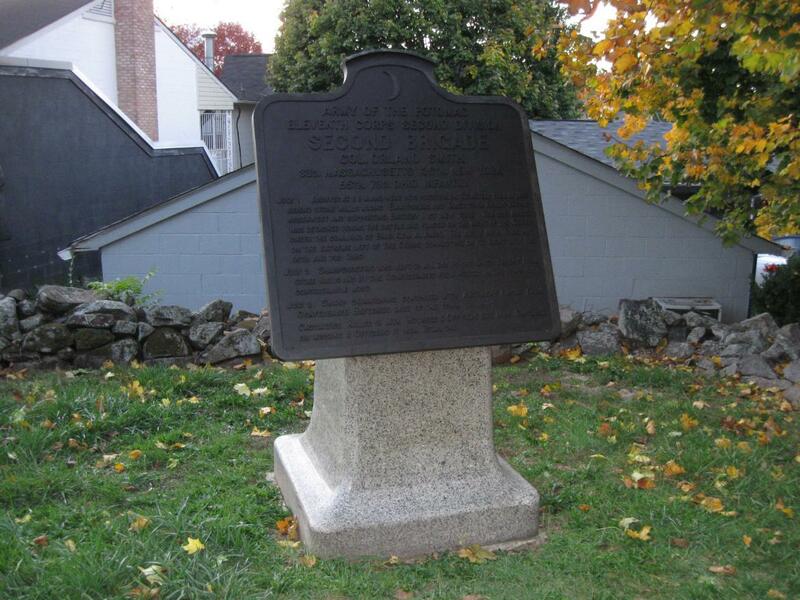 Another view of the marker for Orland Smith’s Brigade located along the Taneytown Road. The buildings in the background are accessed from Steinwehr Avenue. This view was taken facing northwest at approximately 4:45 PM on Friday, October 29, 2010. 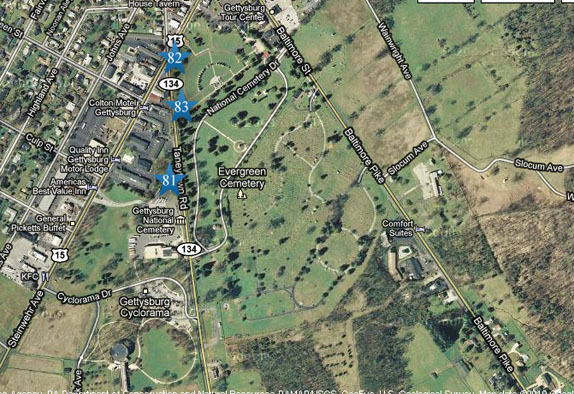 In Video #81 (Videos #1-#80 were shown in our previous Eleventh Corps posts) Gettysburg Licensed Battlefield Guide Stuart Dempsey is standing on the west slope of Cemetery Hill along the Taneytown Road. He presents some background on Orland Smith, and his brigade. This view was taken facing southeast to northwest at approximately 4:45 PM on Friday, October 29, 2010. 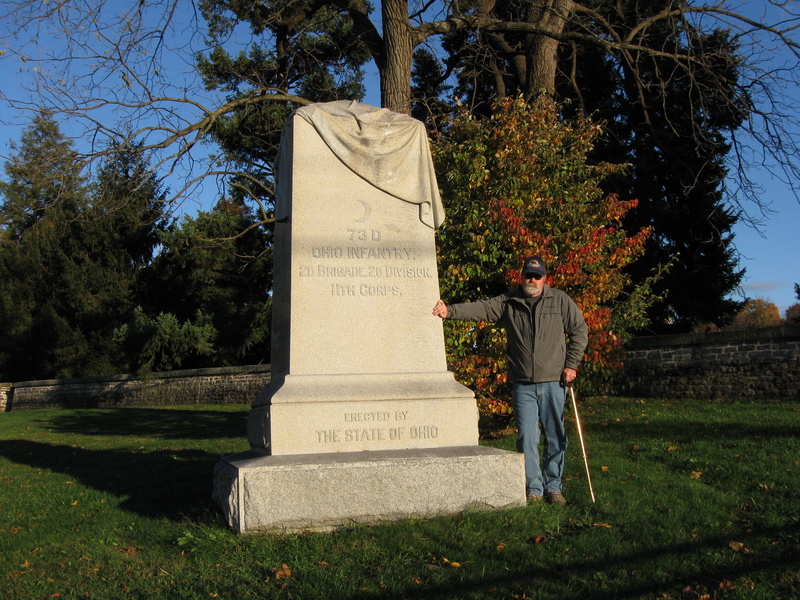 Licensed Battlefield Guide Stuart Dempsey is standing near the monument to the 55th Ohio Infantry Regiment.The monument is located at the intersection of Steinwehr Avenue (formerly the Emmitsburg Road) which runs right to left or southwest to northeast. The Taneytown Road intersects Steinwehr Avenue to the right of the monument. The National Cemetery Annex is in the background. This view was taken facing southeast at approximately 4:45 PM on Friday, October 29, 2010. 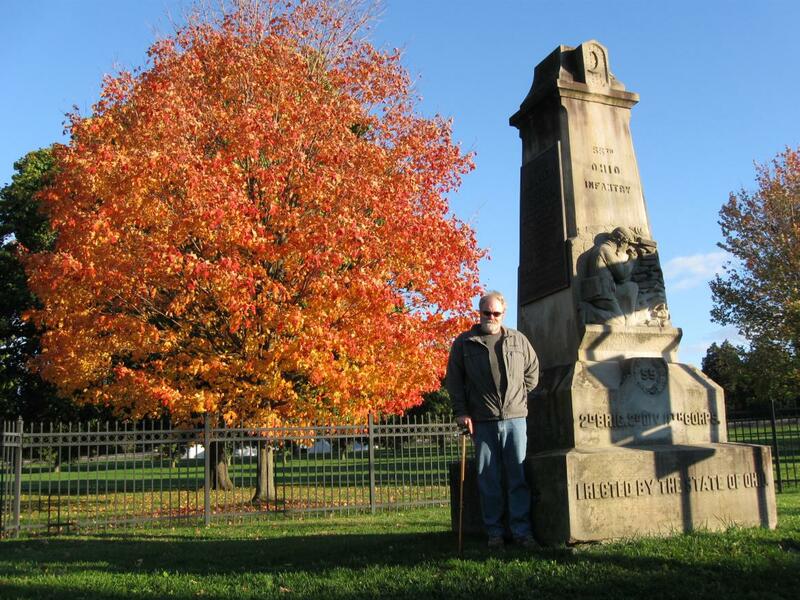 In Video #82 Licensed Battlefield Guide Stuart Dempsey is standing at the monument to the 55th Ohio Infantry Regiment located near the intersection of Steinwehr Avenue and the Taneytown Road. He provides some background on the unit before they reached Gettysburg. This view was taken facing southeast at approximately 4:45 PM on Friday, October 29, 2010. Licensed Battlefield Guide Stuart Dempsey is standing near the monument to the 73rd Ohio Infantry Regiment.The monument is located in the southwest section of the National Cemetery Annex. The original part of the Soldiers National Cemetery is on the other southeast) side of the stone wall. The Taneytown Road runs left to right (north to south) behind the photographer. This view was taken facing southeast at approximately 4:45 PM on Friday, October 29, 2010. In Video #83 Licensed Battlefield Guide Stuart Dempsey is standing at the monument to the 73rd Ohio Infantry Regiment located in the National Cemetery Annex. He provides some background on the unit before they reached Gettysburg. This view was taken facing southeast at approximately 4:45 PM on Friday, October 29, 2010.